The recent floods have been said to be ‘the worst since 1982′, because of the Foss barrier failure. The severe floods of 1982 followed severe floods of only four years earlier. 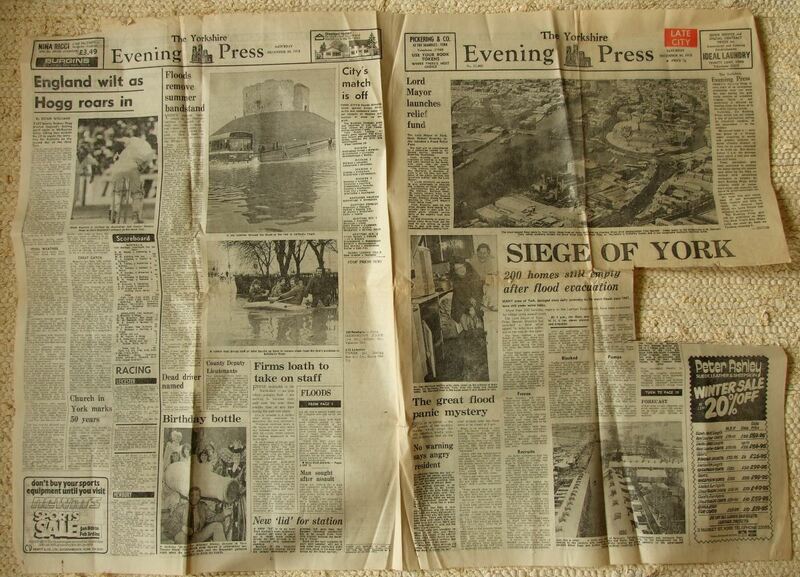 This old Yorkshire Evening Press I have (discussed on a page a few years back, and pictured above) reports on the floods of December 1978, before any of the defences we’re now familiar with were constructed. The Leeman Road area suffered badly. I mentioned on the previous page an interesting study from the early 1990s: Public perception of rivers and flood defence (345/2/T) : flooding and flood defences in York by S M Tapsell, S M Tunstall and M Fordham. It reminds us, at a time when perhaps we need reminding, of the work that has been done to protect so many homes previously vulnerable to major floods. According to the NRA, it was the 1978 flood which initiated this scheme as 225 houses in the area had been flooded. This had been the worst flooding since 1947 when 332 houses had been flooded. 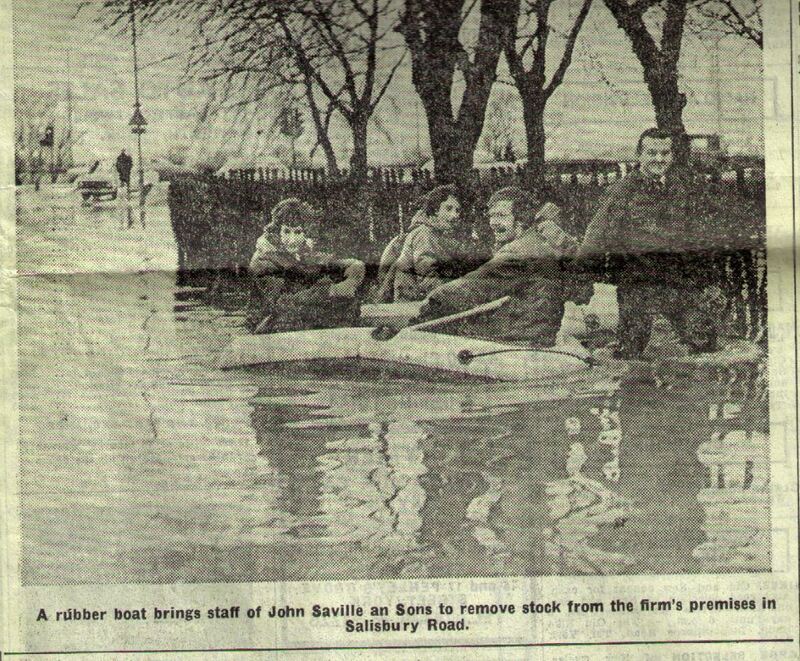 … Some local residents were being flooded every year or two. 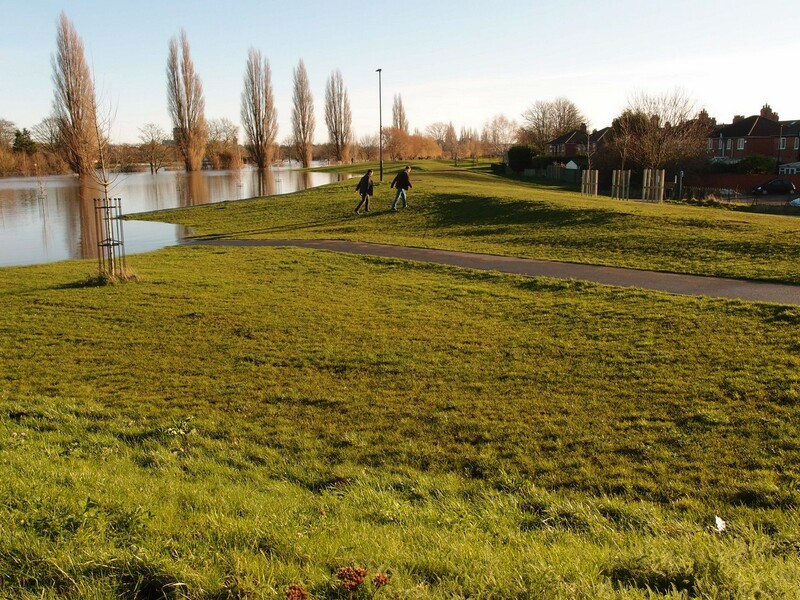 the Local Authority wanted to be able to mow the grass at the top of the banks. This involved flattening the top of the banks (standard floodbanks a crescent shape) which slightly increased the cost of the scheme. It also reported problems with ‘mole infestations’ in the floodbanks. Further work was needed after the 1982 flood because of seepage. Other work was scheduled to take place in 1992. The defences in this area seem to have had several modifications and improvements, and more work has taken place very recently, with newly formed floodbanks taking shape in the last couple of years. Available information suggests that residents in this area have had to campaign for a long time for adequate, improved defences, as the original floodbanks weren’t high enough. The authors of this study into perceptions of the defences mention the belief among some residents ‘that the Leeman Road scheme deflects the current of the Ouse and makes flooding worse in other areas of York.’ This could of course be said of all flood defences, and often is, in a phrase I’ve heard a lot recently: ‘one man’s flood defence is another man’s flood.’ All this floodwater we’re wanting to get out of York goes through a few other places downstream, doesn’t it. Which is why it’s probably better, as many have suggested, to have better management further upstream. Perhaps that will come, one day. For now, it seems the improved Leeman Road and Water End defences have done their job, been a success. Perhaps anyone who knows differently can add a comment, but they looked to be doing well when I had a wander along there on 27 December. This success — and the success of other 1980s and early 1990s defences — has, understandably, been overshadowed by the failure of the Foss barrier. Which caused the same kind of havoc and misery as the residents of the Leeman Road area used to suffer. … public consultation was carried out through the local working man’s club and the vicar of a local church. 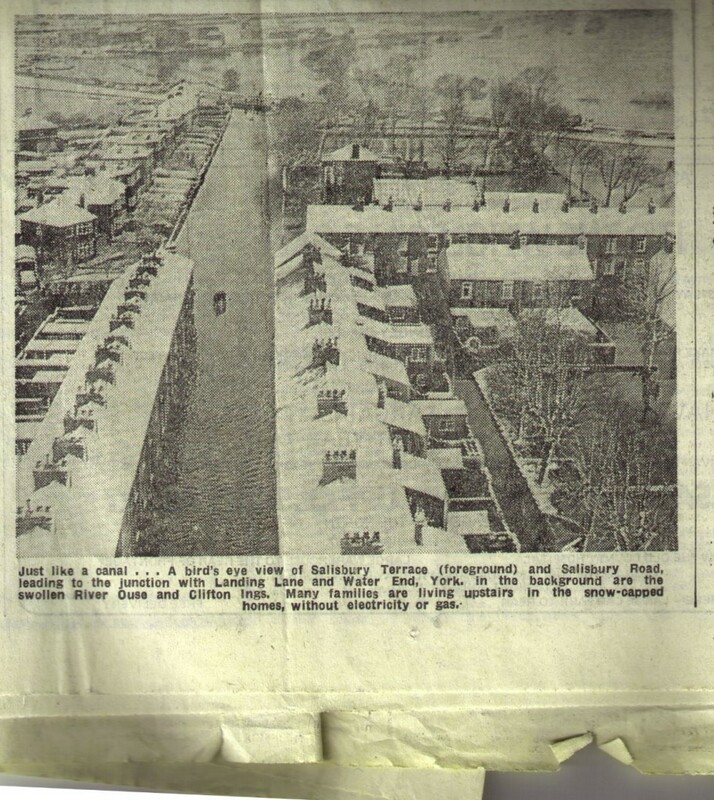 He thought that there had probably been a newsletter circulated … Mr Wilson said that he did not remember any objections to the scheme and, in fact, the local milkman had told his wife that he should be given a medal for what the Authority did regarding the flood. In the 2000 floods the area did flood but from drains rather than the river. Also in 2000 the tops of the flood defences had to be re-enforced with sandbags but the work that has been done since means that this wasn’t needed late last year. However on the 27 Dec you could hear pumps working in the area but I didn’t get close enough to see. Thanks Clive. I remember hearing about problems with the drains, hope that’s been sorted out too? I remember 2000, we were over the other side of the river, standing on the floodbank in the dark, could see the lights across the river from the Leeman Road side as the sandbags were being piled on to the defences.